I'm using Photoshop CC 2017 with the Photoshop extension (the 0.1.4 version) which seem very promising. 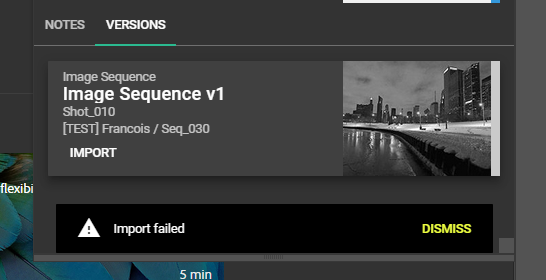 Unfortunately, if I can publish files without issues, I keep getting this "Import failed" error when importing files (either a .jpg or a .psd), whether the version has been published with the same extension or with the old and now deprecated one (the 0.2.3 version). Do you have any clue of what the problem might be? 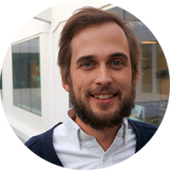 Hi Francois, welcome the forums! 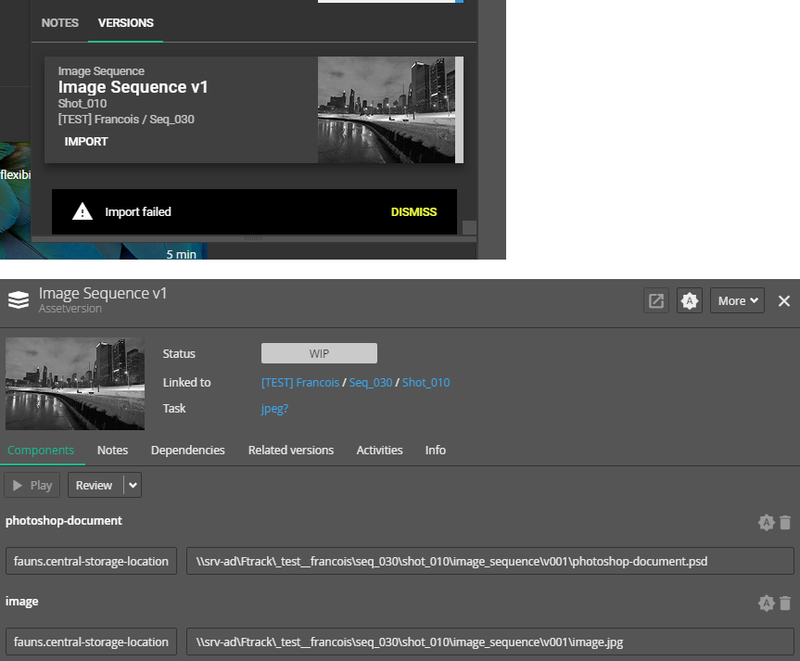 Are you using a centralised storage scenario or how have you been publishing the files? If you go the ftrack web interface and locate the Version, can you view the components and does the file path look correct there? Based on this explanation, we are using a centralised storage scenario, on a dedicated physical server for this project. 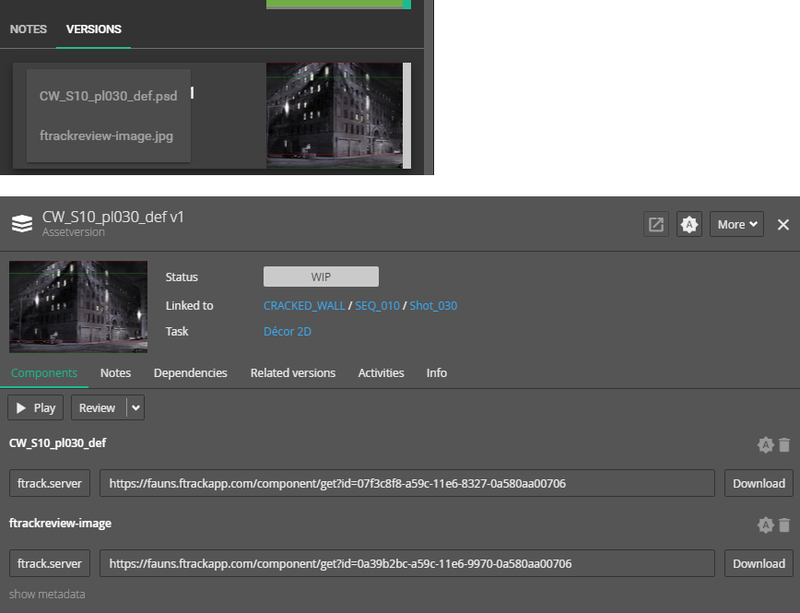 In the ftrack web interface, the path is correct (I have checked it), but I do not have the possibility to download the file, as the download button is missing (see the first attached image). I then tried to import a file from an another project. This project do not use centralised storage scenario (if I understood the concept correctly), as the data are stored on your servers. I then tried to import a file from version where the download button exists (and successfully downloads the corresponding file), but I couldn't download it either, as the file from this version where greyed in the Photoshop extension and I couldn't select them (see the second attached image). Are my explanations clear enough? Do you need more details? Cool, so I take it as the file path is correct and the file is available on the disk. Just a tip; if you're running Connect, and click on the actions icon for one of the components in the centralised storage scenario location there is "Open directory" action. Yes, I think so - we will start some investigation here! the new version of the Photoshop extension seems to work fine on both cases now (so on centralised stored scenario and on data stored on you servers). Here is the download link and the download page for the 0.1.5 version of the extension, as it as not been updated on the Adobe add-on page. I'm glad to hear that it worked out Francois!